Published on February 29, 2012 in Creativity and Fun Stuff. 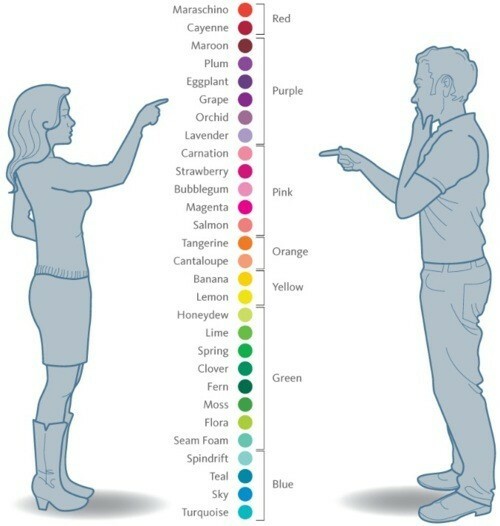 1 Comment Tags: Color Codes, Colour Codes, Men And Women, Seeing Colors, Seeing Colours. There are few blog posts that need no introduction or explanation. This is one of them – Enjoy! Yoga class empty, New Year’s Resolutions already forgotten! Published on February 24, 2012 in Motivation, Positive Thinking and Vision and Planning. 1 Comment Tags: Goal Setting, Goals, New Year's Resolutions. At the beginning of the year, I blogged about my yoga class being full because people started their New Year’s Resolutions… We’re not even into March and my yoga class is essentially ‘empty’. There’s no surprise, most people just don’t commit to their goals and therefore never realise their ultimate dreams or destinies. I used to think it was sad, but no longer. People who don’t want to commit to any level of discipline aren’t committed enough, don’t want it enough to bother so they haven’t lost anything of value because if it was valuable to them, they’d do something about it… Or so you’d think! There is nothing wrong with settling for mediocrity – that’s where most people are – the average, the mean, median. 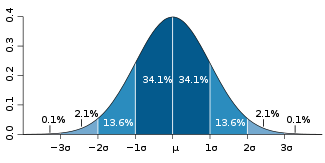 That’s where the NORMAL probability distribution curve’s name comes from. It’s called NORMAL for a reason. To get extra-ordinary results means you have to do what others aren’t willing to do. Go to yoga class, go for a run, get to the gym, get on your bike, have a swim… Do something that will get you moving TOWARDS your goal/outcome/dream. The great news IF you do actually show up and do ‘something’ – is that it gets easier. First of all, like in yoga class – 2/3 of the people are no longer attending. That puts you in the top 1/3 JUST BY SHOWING UP. Within 3 to 4 weeks (experts claim it takes “21 days” to change a habit) you’ll start to feel, think and act differently – as if by magic. But y’know what? I won’t waste your time or mine – you know where you’re at. If you’re at the top end of the probability distribution curve – you’ll click on the hyperlink to determine how to make THIS YEAR YOUR BEST YEAR EVER! If you’re in the BLUE ZONE of the curve above, all of this falls on deaf ears and you’ll just click away on to another page (if you haven’t already), chase another thought or idea and not following it up with any action. Don’t worry, you’re in good company – MOST PEOPLE are dabblers. They fool themselves by starting a whole bunch of things, never finishing or following through on any of them so they FEEL like they’re doing something, but it’s all a waste of time, money and effort. Published on February 17, 2012 in Antimimeticisomorphism, Creativity, Fun Stuff, Motivation and Positive Thinking. 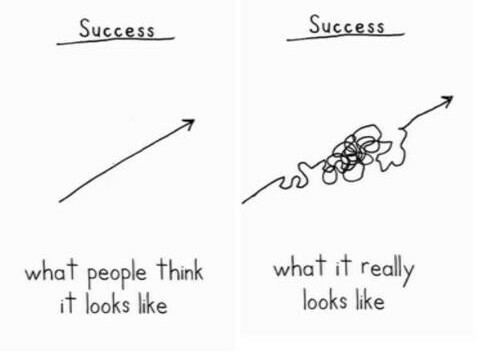 1 Comment Tags: Success Diagram, What Success Looks Like. It’s rare that one image “says” it all… This is one of them… Enjoy! Published on February 14, 2012 in Antimimeticisomorphism, Creativity, Fun Stuff, Positive Thinking, Videos and YouTube Videos. 0 Comments Tags: Fun Video, Funny Video, Valentine's Day. The video below is just another example of how you can have FUN with concepts like this – to brighten up people’s lives with a little humour. I know it sounds trite that “life’s too short to be too serious”, but it’s true. Too many people take business way too seriously. As I’ve said many times, there is a balance between humour/fun and ‘official’ business, but WITHOUT ANY humour or fun, there is NO balance. Published on February 3, 2012 in Antimimeticisomorphism, Motivation and Positive Thinking. 0 Comments Tags: Alternative Investments, How The Rich Think. Whenever a poor person or to be politically correct a non-wealthy person starts to whinge about how rich people get rich, I often get my back up. That’s because being rich or wealthy is no different than being poor or destitute. You have to work at it. Poor doesn’t just happen, you have to DO certain things or NOT DO certain things to become and STAY poor. When you are next at a dinner party and the conversation slows, ask your fellow diners what is the all-time closing high of the Dow Jones Industrial Average? The answer is 14,164, hit on the 9th of October 2007. To keep the conversation going, then ask them what percentage the Dow is current below that record closing high and then what percentage it is above its Global Financial Crisis (GFC) low. The answer is -10.2% and +93%. I believe most people who aren’t as close to equity markets as the readers of these notes would be stunned to know the Dow is only -10% below its all-time high and +93% above its GFC low. I realise there is a big business in the scaring the hell out of uneducated investors, but I believe over the short, medium and long term all those who have capitulated from equities to less volatile, yet grossly overpriced “safe” asset classes, will regret it in an absolute and real return sense. I have seen others describe the switch from equities to other “less volatile” asset classes as “asset allocation”. That’s a very convenient way of describing what is a classic capitulation, but particularly by those approaching retirement who believe they are protecting their lifestyle expectations. 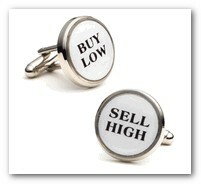 However, at the end of the day all investors must do what they are comfortable with. I have no issue with that and perhaps my relative youth leads me to be far more risk tolerant and volatility tolerant than my investment strategy writing peers. I’ve been advocating alternative investments to create wealth and abundance for years – with a contrarian approach that is endorsed by none other than Warren Buffett. Of course the poor person might shout as loud as he/she can that it’s the perspective of a BILLIONAIRE… But how does one BECOME a billionaire? I just wanted to share this with you because when it’s all said and done, if you do what everyone else does, you get the same results they do – AVERAGE RETURNS. To get BETTER results, you have to think differently. It’s what I call antimimeticisomorphism. If you want to determine your Next Best Step, click on the hyperlink… There are a handful of financial advice bonuses available for you.